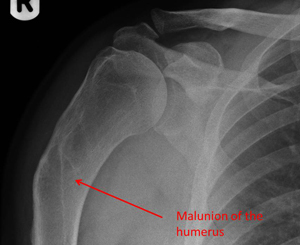 This patient never knew that the fracture he sustained 20 ago had malunited badly, until he developed shoulder pain. 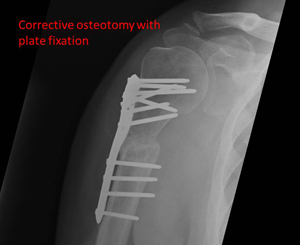 Corrective osteotomy with bone grafting and plate fixation carried out. 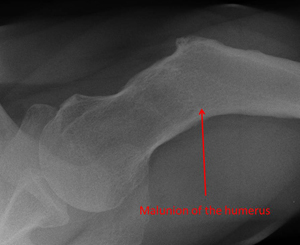 This patient presented to me with so-called cuff-tear arthropathy. 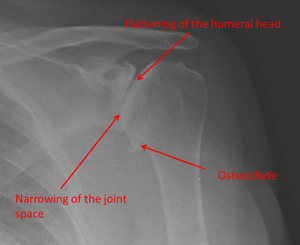 This is a condition where the rotator cuff tendons in the shoulder have torn and the patient has also developed arthritis. 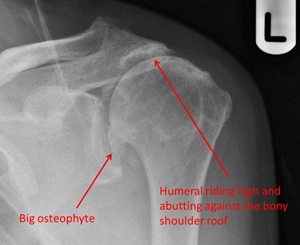 This condition ultimately results in a painful shoulder with severely restricted function. 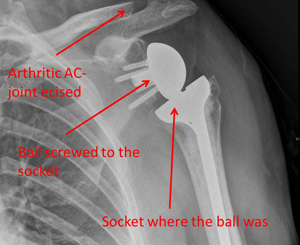 The patient had a “reverse” shoulder replacement where the ball of the shoulder gets replaced with a socket and the old socket of the joints is replaced with a big metal ball. 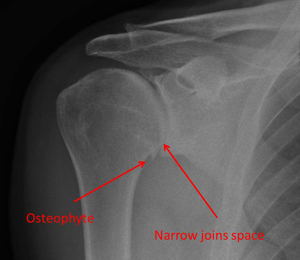 This changes the biomechanics of the shoulder and enables many patients to develop better function. This patient made a good recovery and was pain free with excellent function. 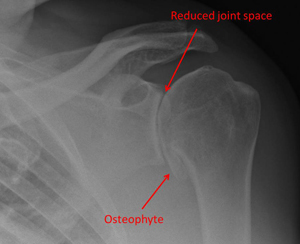 This patient had a lot of pain from osteoarthritis of the shoulder. 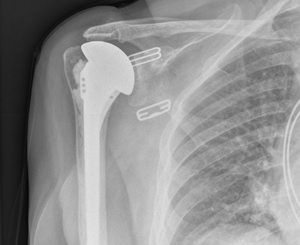 He was treated with a resurfacing, where the worn-out joint surface of the humeral head is milled away and replaced with a metal cap. 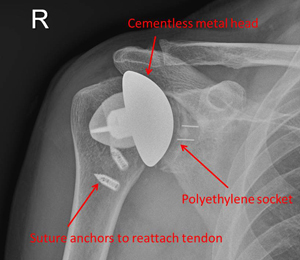 Patient with osteoarthritis of the shoulder.He had a total shoulder replacement with a cemented polyethylene socket and a so-called stemless head replacement. 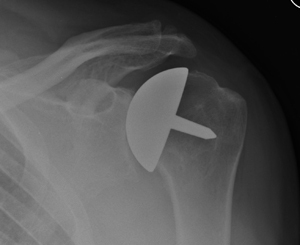 This lady with cuff tear arthropathy (pain and poor function due to a combination of arthritis and torn tendons) was not suitable for a reverse total shoulder replacement. 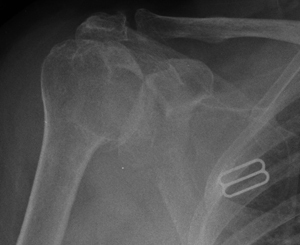 Instead she had a cemented hemiarthroplasty (half-replacement of the shoulder). 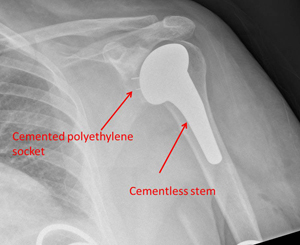 This patient with osteoarthritis of the shoulder underwent total shoulder replacement using a cemented polyethylene socket and a cementless short-stem humerus.